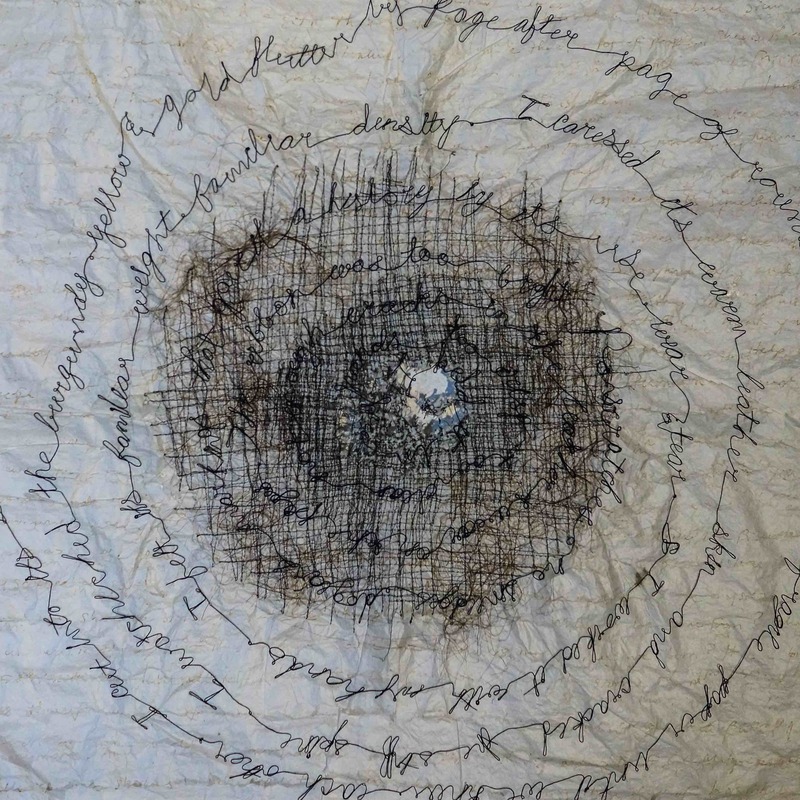 Layering the written word with delicate thread and distressed textile, Memoir, the current exhibition in the Michael Phipps Gallery downtown in the Omaha Public Library, weaves Camille Hawbaker’s subtle, yet powerful aesthetic with personal narrative. Omaha-based Hawbaker works in both printmaking and fibers revealing and complicating the techniques of both to create works of transformed materiality. Feeling constrained by the written word, Hawbaker produces visceral artwork that resembles pages of a book—a book that has literally been burned away, along with quiet line drawings, and foggy installations. The artist uses an intense detailing process to layer “inherited words” with wandering lines and material destruction. Poetically reworking materials and typologies of writing, Memoirs suggests the power of absence, spontaneity, and rituals to mark the passage of time within the artist life.